This fake can't be unseen. Wrong color dresses, wrong suit color, wrong hair colors BOOM! To those who believed this was true: Did you never watch Cinderella when you were a kid? Every body remembers that men's life seems to be not cheap, however people need money for various stuff and not every man gets enough cash. Therefore to get quick personal loans or term loan should be a proper solution. I think it's trying to say that they look similar when it's faked. screw it though, **** this crap!! Even so, Beatrice isn't someone you'd choose to wake up next to. 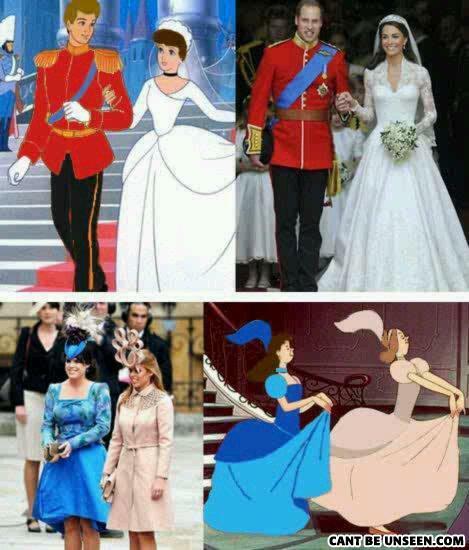 Internet conspiracy theory- they changed the colors on the dresses and hair to match. Mario: Its a me Mario! Mario: Its a me Mario? Woman: Yeah you got a point?